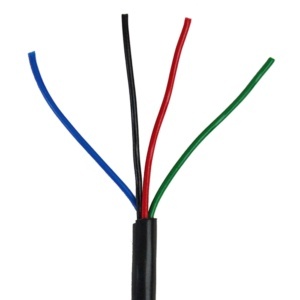 22 gauge power lead wire for use with 4 conductor multi-color (RBG) LEDs. UL2464 -20c to 80c VW-1. Jacket color is WHITE. 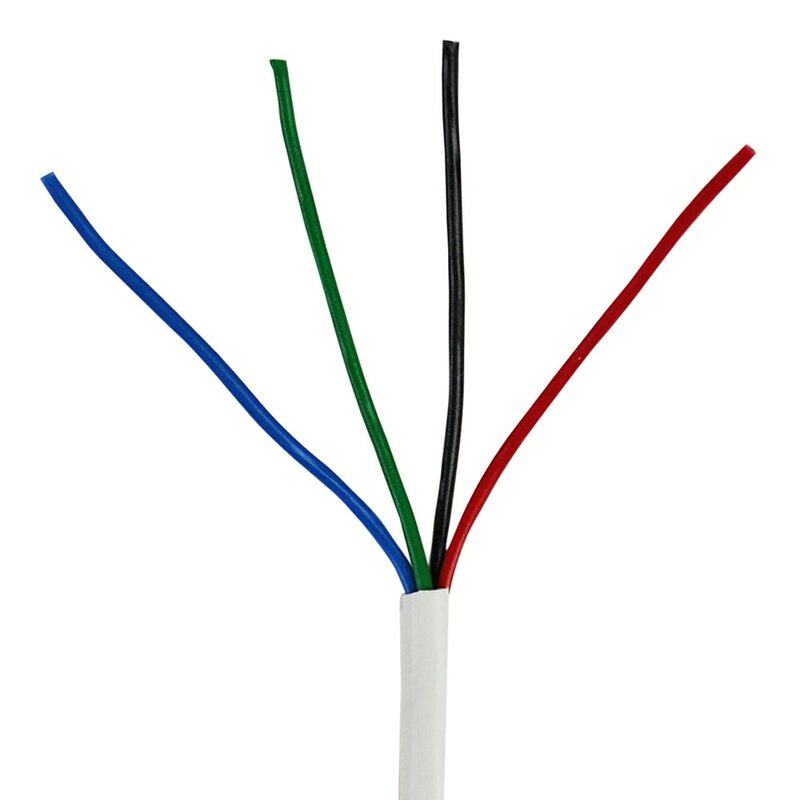 Inside cable colors are RED, GREEN, BLUE and BLACK. 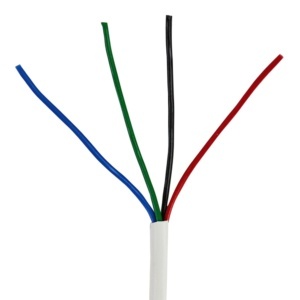 Commonly used for extending the power leads on our White PCB LEDs used with RVs, Campers and Trailer installs. Sold by the foot. Use this cable if you need to extend 12vdc power to multi-color LEDs. 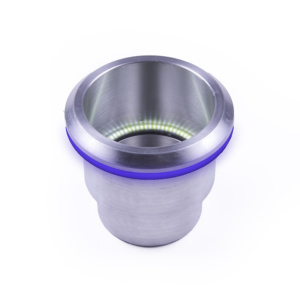 RECOMMENDED FOR RUNS LONGER THAN 15′ to reduce power loss over longer distances. 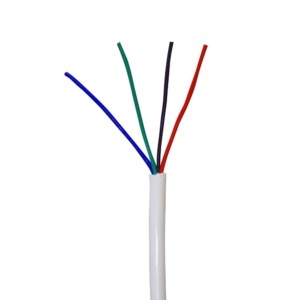 To order, enter the length of wire you would like (in feet) in the quantity. 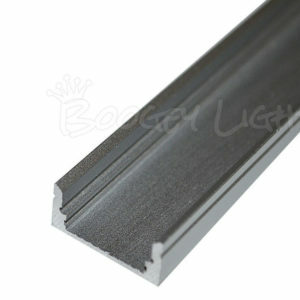 Mini T12 Low Profile Aluminum Channels are designed to work with Boogey Lights Value Series LED light strips. 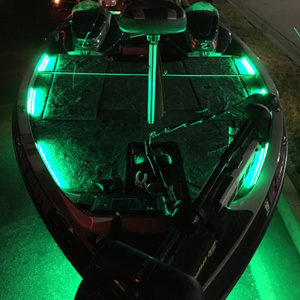 These aluminum channels and the optional opal diffuser make for a very clean and professional look in situations where the LED strips are in plain view. 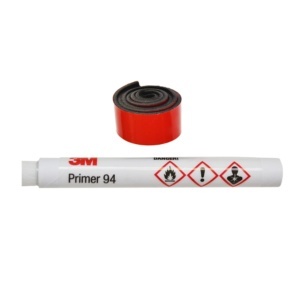 12″ of 3M automotive acrylic tape with 1 promoter tube to install an additional 6 – 8 LED lighting fixtures.